We can help your company to answer questions about the usability of your product, market, users, or any other areas of User Experience. We tailor research to our clients’ needs, beginning with a discussion of what your objectives are before applying our experience to advise you on the most efficient way to achieve your research goals. This can be at an external location, or our Lab In A Box can transform a meeting room at your offices into a high-spec UX lab. The location of a study affects what we learn from it. We conduct studies in contexts that match the potential uses of your product. This could be in a home, a cafe, a train, or anywhere suitable. 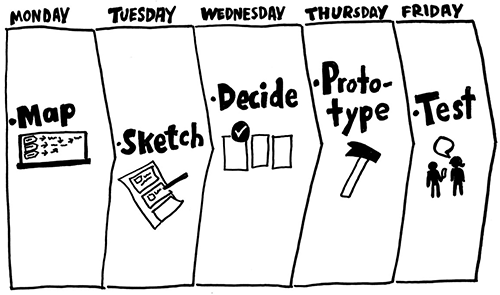 Development teams need to track the progress of their designs. Regular, repeated testing gives deeper insight into the success (or failure) of changes to products. Internal stakeholders, and design teams, rarely see real people using the products they create. We arrange sessions in your office for stakeholders to observe users with their products, and give instant feedback on areas of interest. This increases participation levels across teams. We support the full-spectrum of the UX design process, from explorative studies … through iterative research … to product launch. We help companies to get objective performance metrics, recommendations, and emotional feedback before a finished product is launched. Compare your product to competitors in terms of speed of use, subjective and objective quality and satisfaction. Track how user feedback changes over time. What new pain points appear? How do people react to your product compared to competitors? The quality of a product is defined by the development culture in the company. That culture can either facilitate quality, or it can lead to the need to fix bugs over and over. We help companies to incorporate User-Centered Design into their development process. Basic UX training for marketing, support, or other teams to learn how to prepare and conduct usability sessions, and how to act upon user research findings. All you need to know to start preparing, conducting, and reporting findings from user research. Major research methods, benefits & restrictions of each. Nuances of using all research methods, embedding user-centered process in the development culture of your team, working with stakeholders, how to create and use video reports, organizing UX research process, models of software development, and how to embed UX research into each of them.